A working group with the state Department of Agriculture has recommended an apple-maggot quarantine for the Methow Valley after the discovery of dozens of adult flies and larvae — indicating a reproducing and established population of the devastating pest. While adult apple-maggot flies have been found in the Methow for more than a decade, the discovery of larvae crystallized the threat. 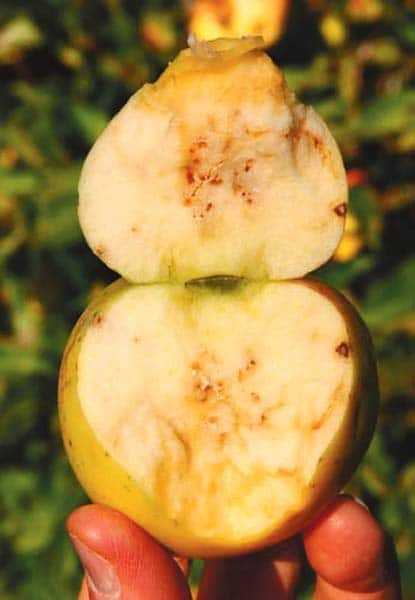 The discovery of apple maggot larvae in the Methow Valley last year — in addition to a growing population of adult flies — prompted state ag officials to recommend a quarantine. A quarantine would mean that people could not transport home-grown apples to uncontaminated areas. There would also be restrictions on green waste and trash brought to the Twisp transfer station to keep the pest out of the county landfill. For now, the quarantine is just a recommendation by the Apple Maggot Working Group of the Washington State Department of Agriculture (WSDA), which must hold a public comment period and public hearing before making a final decision, said McCarthy. The proposed quarantine would extend from the Lower Gold Creek Bridge north to the Canadian border, with the eastern boundary following a straight, north-south line just east of the Loup Loup summit. It would extend to the western edge of the county, butting up against existing quarantines in Whatcom and Skagit counties. No quarantine would be imposed on the rest of Okanogan County. The heightened alarm — and recommendation of a quarantine — came after the discovery of apple-maggot larvae in native hawthorn berries in the Methow last year, said Michael Klaus, an entomologist with WSDA. In the lab, two pupa dropped out of collected berries, he said. The insects lay eggs in both apples and hawthorn. State and county officials are working on various issues before seeking public comment, including a means for dealing with green waste such as tree branches, soil, and fruit itself, all of which can be contaminated. Under a quarantine, waste could not be transferred to the central landfill in Okanogan. McCarthy and others from WSDA discussed the proposed quarantine with the county commissioners in April. Among the approaches under consideration are a compost facility and heat treatment. “There are all kinds of protocols, and government regulations up the kazoo,” said McCarthy. When an area is under quarantine, fresh fruit (unless purchased at a grocery store) may not be transported to uncontaminated areas. Any fruit purchased in a grocery store or other retail outlet has already been certified pest-free or passed an inspection, said McCarthy. Because virtually all of western Washington is already under quarantine, apples could be taken over the North Cascades Highway to the Seattle area. But taking fruit to Pateros or Okanogan would be prohibited, said McCarthy. A primary concern is fruit from backyard growers, who might sell apples at the farmers market or transport contaminated fruit. While it would be acceptable for someone to buy an apple at the market and have a picnic in the Twisp Town Park, since there is no way to regulate where the fruit ends up, controls would be necessary to prevent spread of infested fruit, said McCarthy. Apple maggots live only in fresh fruit, so any processed fruit — whether as applesauce, pie or cider — is not restricted and can be transported outside the quarantined area. In eastern Washington, quarantines are much more limited, covering only Spokane County and part of Lincoln and Yakima counties. Western Chelan County (including Leavenworth) was placed under quarantine a few years ago, said McCarthy. WSDA sets hundreds of traps around the county and collects fruit as part of their survey for apple maggots. Untended apple trees on old homesteads throughout the valley can also be a vector for the maggots. Because an adult fly may have hitched a ride from an infested area, without larvae or pupae it could be an isolated incident, said McCarthy. But once inspectors find 25 to 30 flies a season — as they have in the Methow in the past three years — there’s something going on, he said. Until recently, McCarthy and other agents were able to treat isolated infested areas with insecticide or by removing trees. In most cases, they didn’t find another fly in subsequent years, he said. But after four pest-free years, in 2015 the number of adult flies in the Methow spiked. Inspectors found 32 flies at 18 sites, 15 in the Methow Valley and one in Pateros, said Klaus. In 2016, numbers continued to climb, with 24 flies caught at 20 sites, all in the Methow. In 2017, inspectors caught 29 flies, all in the Methow, including two at a site that was infested the previous year. Each year, inspectors also collected apples and hawthorn berries where flies were trapped, and all were negative — until 2017, said Klaus. No one knows for sure what contributed to the increase, but some agriculture experts speculate that the large numbers of people who came to the area with firefighting or recovery crews in 2014 may have inadvertently transported contaminated fruit, said McCarthy. Pupae overwinter in soil and hatch as adult flies in the spring or early summer. The flies, between 1/4 and 3/8 inch, reach maturity in a week or two and lay eggs in apples by puncturing the skin of the fruit. When the eggs hatch, the larvae (the maggots) eat the apples before falling to the ground, where they burrow down a few inches, pupate and overwinter. Pupae are hard to detect — they’re about the size of a grain of rice, immobile, and “almost indestructible,” said McCarthy. The majority of pupae hatch as flies in the first year, but a small percentage may not emerge for several years, helping perpetuate the species, said Klaus. WSDA monitors areas very closely, said Dave Schulz, who grows apples in Twisp and sells in the United States and abroad. “It is so severe if apple maggots get into our domestic markets or fruit shipped to the Far East,” he said. Commercial growers go through rigorous inspections. “Backyard growers need to take action or our product in Okanogan County could be in jeopardy — it’s serious,” said Schulz. Apples are the top agricultural commodity in Washington, worth $2.4 billion in 2016 — about two-thirds of U.S. apple production — according to WSDA. In 2012, Okanogan County’s crop was the third-highest in the state, according to the U.S. Census of Agriculture. 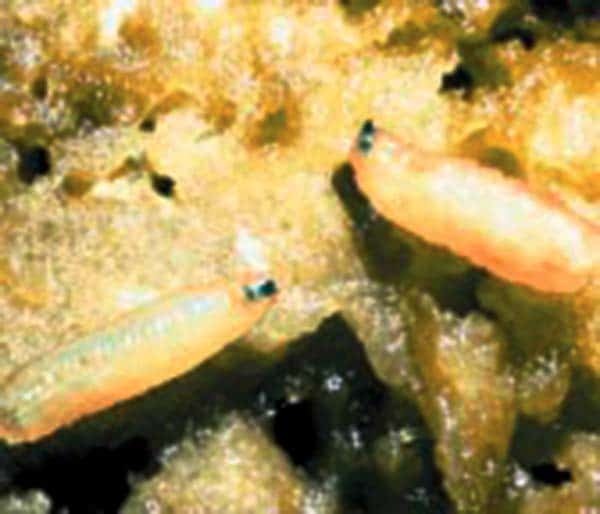 WSDA takes a lot into consideration before deciding on a quarantine, including how aggressive the county pest board is in controlling the apple maggots, said Jim Marra, pest program manager for WSDA. 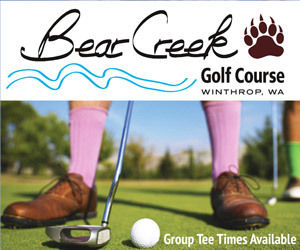 “Okanogan County has been particularly proactive. The situation in the Methow Valley is beyond control at this point, so we made the decision to move forward with the quarantine,” he said. Apple maggots have several close relatives in this area, including flies that infest cherry and walnut trees and a maggot that feeds on native snowberries. Different wing patterns enable inspectors to differentiate apple-maggot flies from the cherry and walnut flies, but they need a microscope to tell the difference between apple and snowberry pests, said McCarthy. In the early 1980s, Northwest states ran spraying and tree-removal programs to control apple maggots. The containment program ended in 1985 because of limited funds and the discovery of the pest in native hawthorn along streams, precluding the use of insecticides, according to the Washington State University Tree Fruit Research & Extension Center. Once imposed, quarantines are unlikely to be lifted, particularly with a reproducing apple-maggot population in a native plant, said McCarthy. “Short of Mt. Baker blowing up and covering us with ash — but the apple maggot would probably survive,” he said. A public comment period and hearing will be set, probably in early July, according to Marra. The WSDA director makes the final decision on the quarantine. If approved, the quarantine would take effect by the end of August.